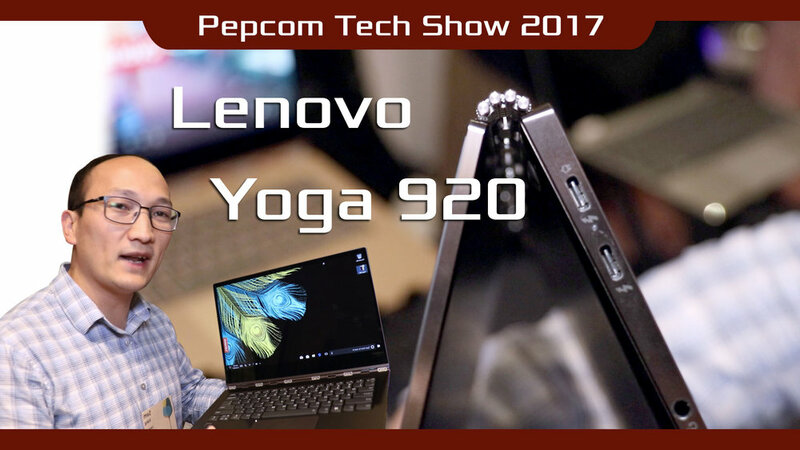 The Yoga 920 is Lenovo's flagship 2-in-1 laptop/tablet. It's designed to be a super slim, light and portable laptop (not as a heavy-duty workstation). But having said that, it's got an updated Kabylake R Intel processor with 4 cores and 2 thunderbolt ports for power, I/O and video. Highlights include their signature watchband hinge, an all aluminum build and your choice of either a 4K or Full HD display with slim bezel. The webcam has been moved back to the top from their previous version and has the addition of a touch fingerprint sensor and updated touchpad and keyboard.